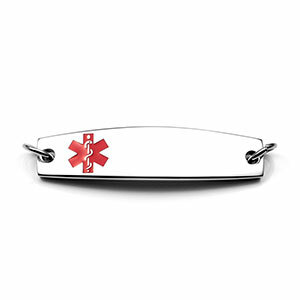 Engrave this quality stainless steel medical tag with your medical information. Engravable on front and back. 7mm jump rings are attached to each side. Opening for jump ring is 5mm.